Keeping your audiences attention in this time of phone alerts, sound bites, social media and noise is hard. But, a powerful story is one of the most powerful ways to capture someone's attention. Relating to stories is hard wired into the human capacity. We'll show you how to leverage that. Using stories to motivate supporters is as old as campfires in caves, but the art of storytelling is a skill that you have to hone through practice and repetition. The good news is: powerful stories have components that you can learn to include in all of your stories, and drive more support for your mission. Here are some tips on how to write a powerful story. When writing or telling a story, you have to know to whom you are delivering the message. What does your audience care about? What motivates them? If you don’t already know your audience or constituents, then it’s time to do some work. There are a few ways your can do this. Run an online survey to find out what attracts them to your mission. Do one-on-one surveys with a wide variety of stakeholders - board members, long-time donors, volunteers, people that just started engaging with your organization, people that have never heard of your organization. Research your competitors, or organizations that are similar. What type of storytelling are they using? Use data from your website for Facebook Audience Insights to see what stories have been successful in the past. Look at social media posts and see which posts have performed the best. Read more about researching your online market. To write an effective story, there has to be a clear message that you are delivering. Once your audience has been established, you should know their concerns and pain-points. Use that knowledge to generate a powerful message. The now-famous Ted Talk by Simon Sinek, talks about focusing on the “why” to connect with your audience. Why is the struggle that you have introduced important? Why does that struggle matter to the world, and more importantly to your readers? As Simon Sinek has what he calls the Golden Circle. At the center of this circle is "why." The “why” is linked to the primal center of our brains, so use it to your advantage as the storyteller. If you can connect readers with the “why” then they will continue to read, and engage with your content and in the long-term your mission. In today’s distracted world, there are million things tugging at your reader’s attention at all times. If you don’t capture their attention in the first two sentences, they are lost. That’s why writing a great story starts with writing a great introduction. A story without a struggle is not a story. This writing mechanism is commonly referred to as the Hero's Journey. When writing your story, be sure to introduce the struggle early. At this point, since you have done your audience research, you should be writing about a struggle that speaks to your target audience. Introducing this struggle early in the story will capture their attention. The struggle in your story should serve as the rallying cry for readers. It should be the tool that motivates them. The struggle also sets up your main character to be a hero when they eventually overcome the struggle. Lastly, it is important to connect your character’s struggle to a larger universal struggle or truth. If you can connect this one person’s struggle to a larger problem, then your mission, and the reader’s engagement in it, become vital to empowering more heros like your main character. Don’t use jargon or internal organizational terminology. Use short paragraphs that contain only one idea per paragraph. The first sentence in each paragraph should clearly state the idea that will be in that paragraph. Simple stories can be the most memorable. Don’t forget that your story should end with a call to action, or a logical next step for your user. Once you have captured their attention, set-up the struggle, and inspired them, it’s time to get them to act! Relate your call to action back to your story and include an obvious way for users to take action. Use active language, and set a time limit on the action if possible. Lastly, it is important that if the user takes action, you capture their information. The user has already shown an interest in supporting what you do, if you capture their information, you can continue to engage them further in your mission. Once you have a compelling story, you need to find the best way to get it in front of your audience by choosing the right marketing channels. 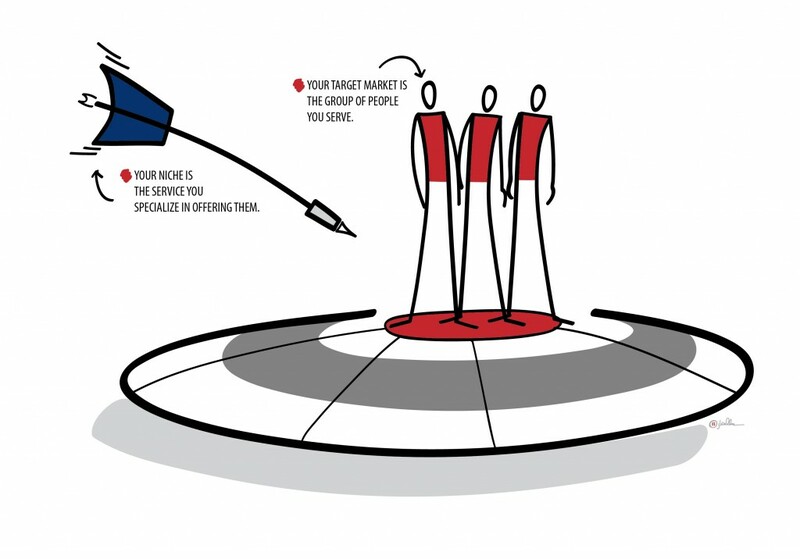 Not everyone is in your target market and that is ok...actually, that is good. How are you supposed to create authentic messaging (written or visual) if you are trying to talk to everyone at once? Often times when new clients are responding to our "Start a Project Questionnaire" we will get responses about demographics or target markets that say things like, "Anyone who cares about 'X' or is willing to take the time to invest in 'Y'" or the real killer is, "Well, everyone is my target market!" No they are not. From this day forward you are not allowed to say "everyone is my target market," you must be more specific. Who have you served in the past? Has this changed over time? Why do you think that is? Break them into groups or "themes" (age, location, socio-economic...really anything that will help you group similar characteristics and then separate things that make each group different. Try making little profiles of imaginary people using the characteristics you discovered above. Describe their age, what about their current place in life attracts them to your organization/company? Where do they like to shop or read or hang out with friends/family? What other organizations are these people a part of? Now you have created some target markets and you can take action. Think about ways you can insert yourself/your organization into these people's "normal lives." The idea is to raise awareness through the right marketing channels with an authentic message. The goal is to think more deeply about the real people you are trying to reach— be thoughtful...and if you find you do not have a target market, make one up. Looking to leverage your awesome YouTube content to drive more donations, newsletter sign-ups and supporter engagement? You can easily add links by using cards and end screens to your YouTube videos. This tutorial will help you sort out when it's appropriate to choose a card versus an end card, and the rules surrounding how and when you can use them. Before you start this tutorial, it's really important that you connect your website to your YouTube account. If this process isn't complete before you try to add end screens and cards, you won't be able to add them to your video. This video does NOT cover these instructions, but it's a really easy process. You can find instructions on Google Documentation page. One of the things that is brought up in this tutorial is selecting a card over an end screen to drive action. Donation Cards allow users to make a donation quickly and easily on the screen, whereas an End Screen link would require the user to go to a new screen to complete the transaction. End Screens require that you have at least one link to another video, channel or playlist, whereas you can have up to 5 cards, and none of them need to link to a video, playlist, channel, etc. Donation Cards restrict the icon that you include with your call to action, end screens allow you to upload a custom image to your call to action. If you want users to find your video on your YouTube channel, use donations cards. 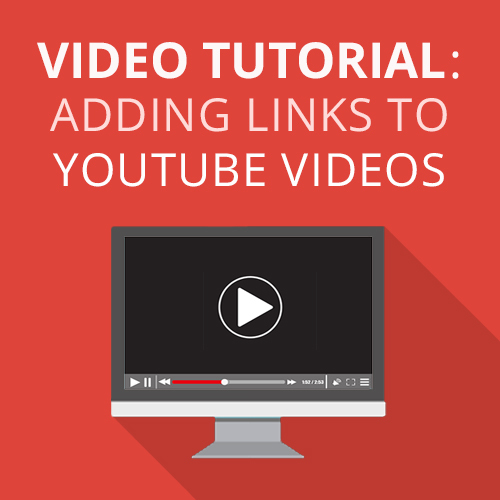 If you want users to view your video on your website, use either a link card, or an end screen. When users click on a donation card, the donation process takes place on YouTube, not on your website. So, you're essentially sending users to complete a donation process off of your website. So, if you want users to complete the process on your website use a Link Card. Video content is becoming more and more common, and we believe is driving the newest wave of content on the web. It increases engagement with supporters and drives a lot of activity. Content can't do it all by itself though. There are additional strategies that need to be considered to raise more money, and boost online engagement. Download our comprehensive guide to raising more money online and learn more.